There are many things you can do to keep yourself strong and injury-free, particularly in the case of the spine—your basic foundation. Being conscious of the function of the spine, and the “do’s and don’ts” is often a matter of common sense, but there are steps you can take to maximize your spine health. Supportive, comfortable, balanced shoes—the right pair for the particular function– keep the spine and body in good alignment, and help you to avoid any possible strains or pains. 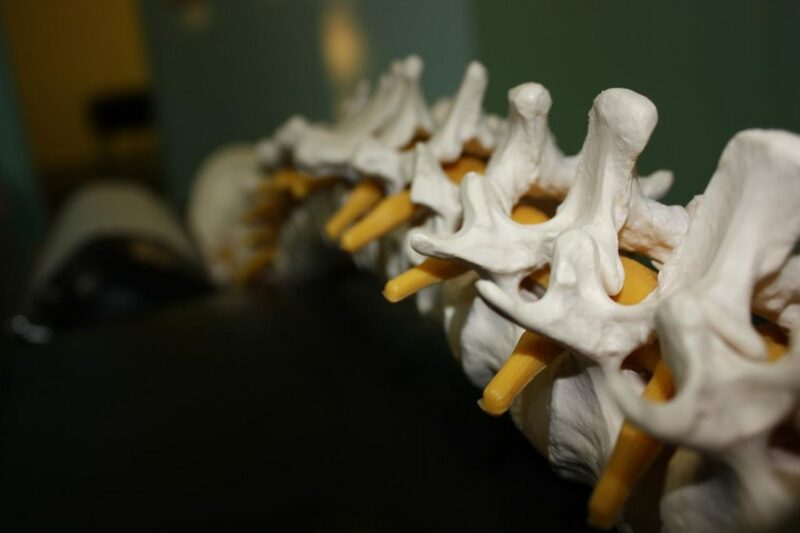 The discs of the spine are doubly stressed while sitting as opposed to standing, so make sure to get up often and stretch and walk around as well as stretch to avoid the stress on the lower spine. Especially in an office environment, with extended sitting, sit in a good chair, and avoid forward lean. Keep your feet on the floor, and your back and head straight. In addition to general cardiovascular fitness (such as with walking, running, biking etc.) pay special attention to your core (back and abdominal) strength. When strengthened, these core muscles help support the spine, and help you to avoid injury. Use your legs to lift an object; not your back. If it’s too heavy, avoid lifting it and simply pushing if you must (again, using your leg strength). Don’t bend forward continually, as this puts stress on back muscles. Distribute the weight when carrying, such as two equally weighted bags in each hand, or a backpack as opposed to shoulder bag. Use a good mattress and pillow. A pillow under the knees when lying on your back, and a pillow between the knees when lying on your side, will help relieve back stress or pain.